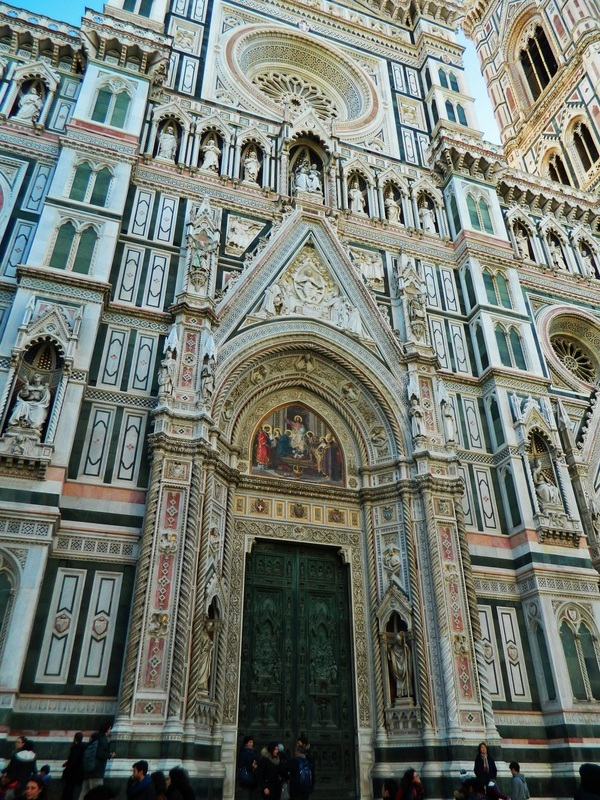 Florence is a beautiful city with so much to see and do! 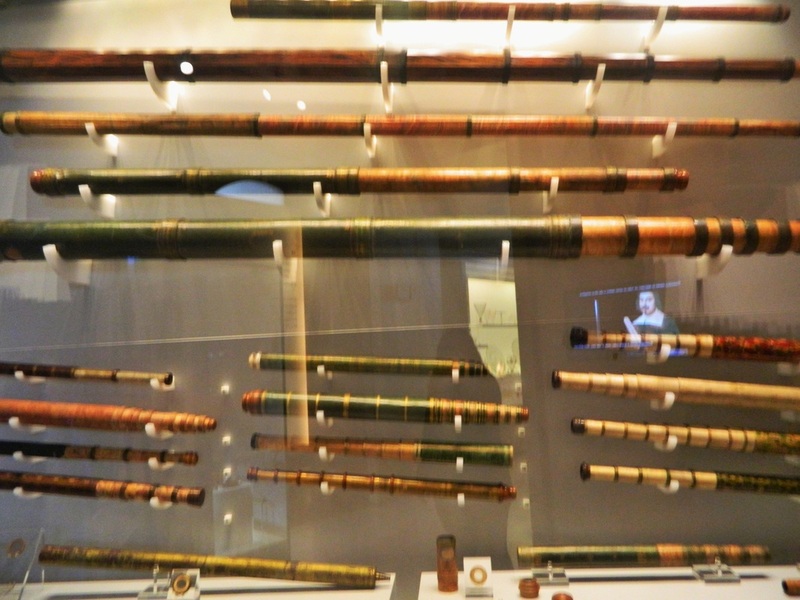 It is an art lover's paradise, and is home to pieces by some of the most famous artists in history. 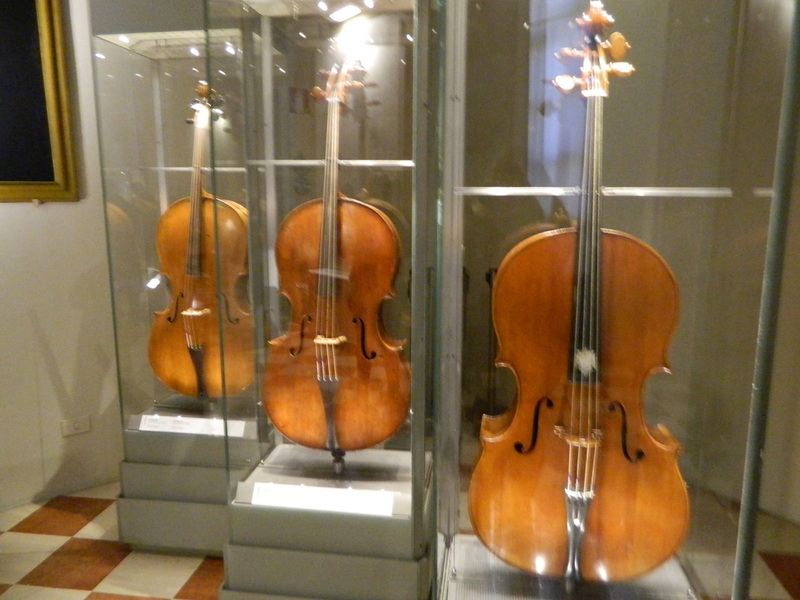 If you like museums, there is no shortage in Florence! 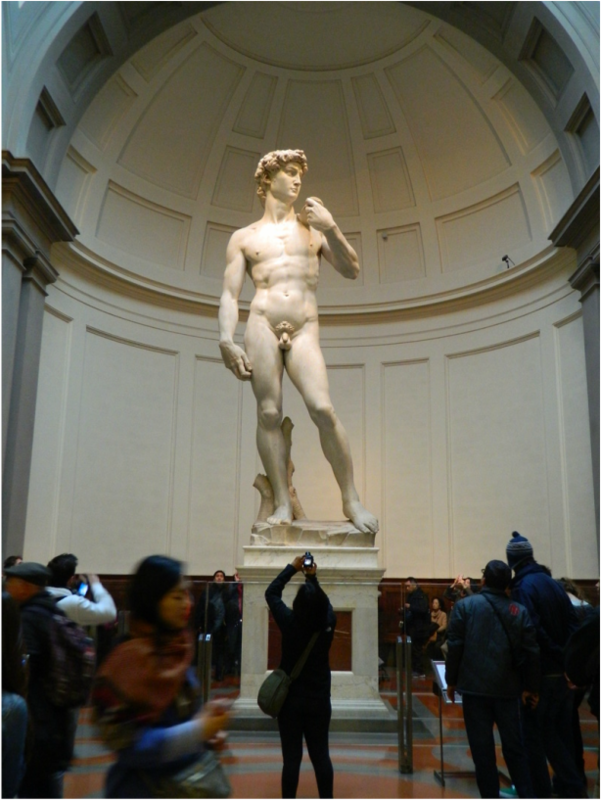 We started off our tour with a visit to the Accademia Gallery, most famous for housing Michelangelo's sculpture of David (shown below with some people for scale). 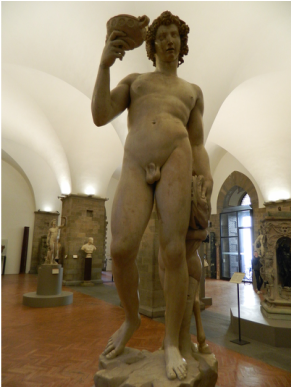 The likeness of biblical David has been captured by many other artists besides Michelangelo, but the scale and sheer size of this statue is totally awesome and unexpected. 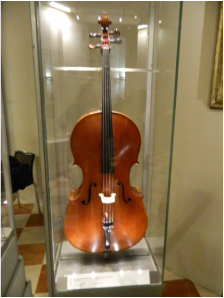 While David may be the "main attraction" at the Accademia Gallery, there is a lot of other art as well, and if you're into musical instruments, there's a great collection of classical instruments such as cellos, harpsichords, and violins, including a Stradivari violincello from the 1600's. 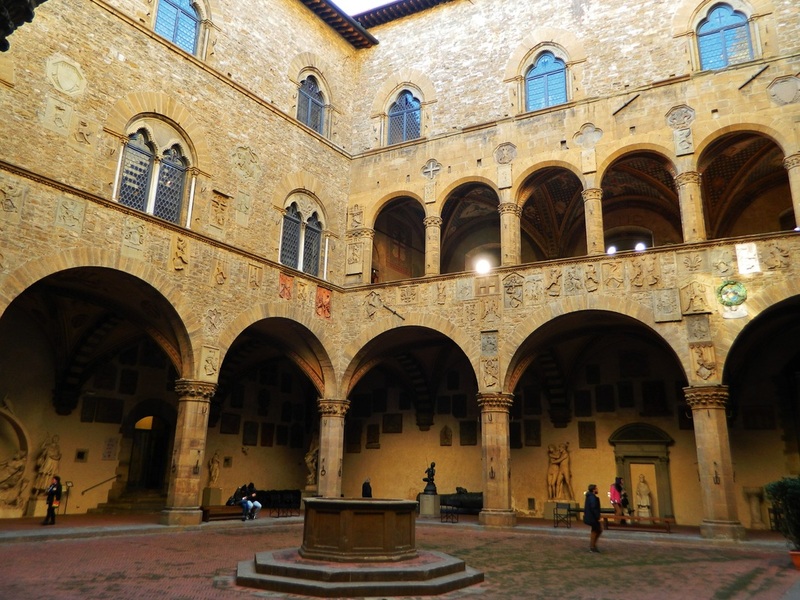 At the nearby National Museum of Bargello, you can also see two different sculptures of David by Donatello, and Michelangelo's Bacchus, just to name a few! 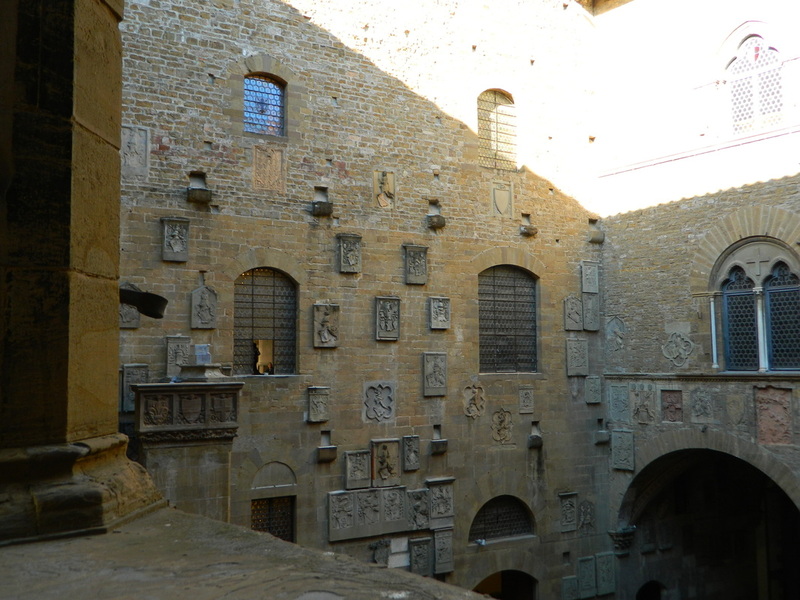 The Bargello Museum is a former palace and prison that dates back to 1255 and is one of the oldest buildings in Florence. 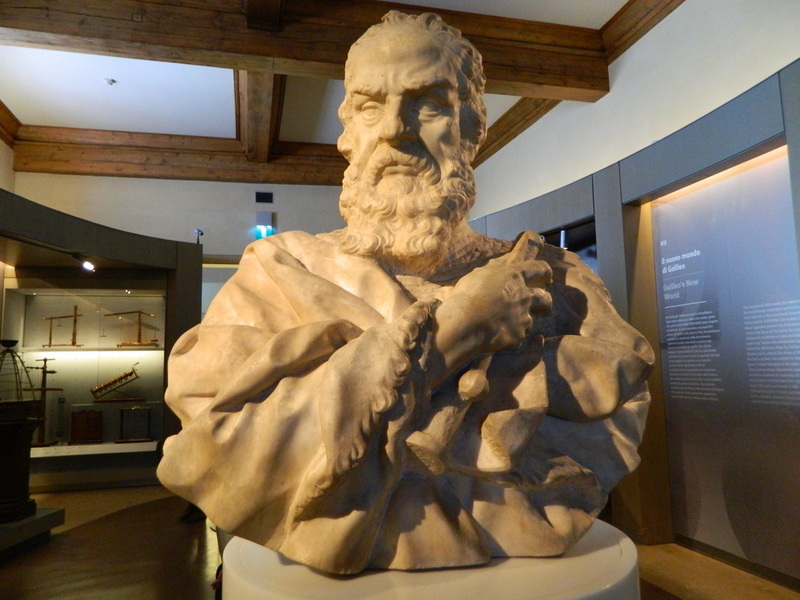 For a museum of a different variety, you can visit the Galileo Museum and delve into the art of....science! 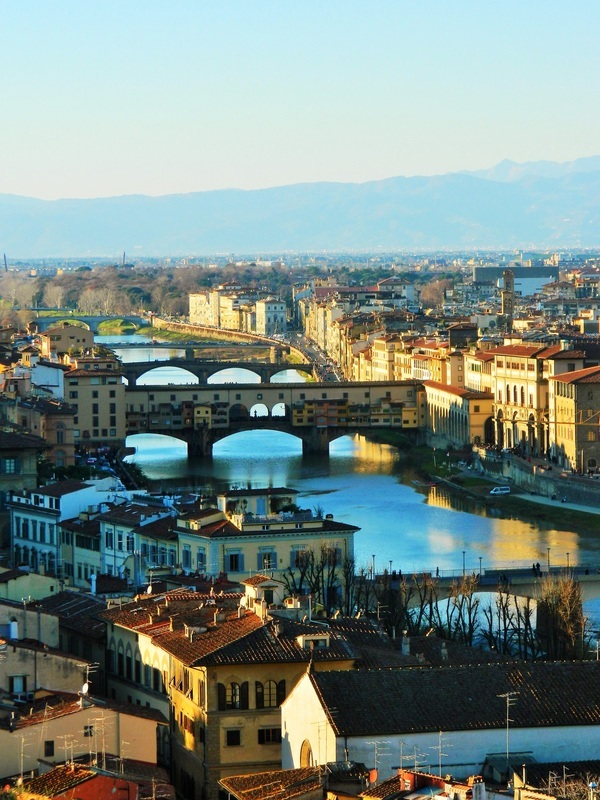 The Arno river flows through the city of Florence, and many bridges, including the famous Ponte Vecchio stone arch bridge connect the two sides of the city. Records indicate the presence of a bridge at this same spot as early as the year 996, and as the old bridges were destroyed, new ones were built in it's place. 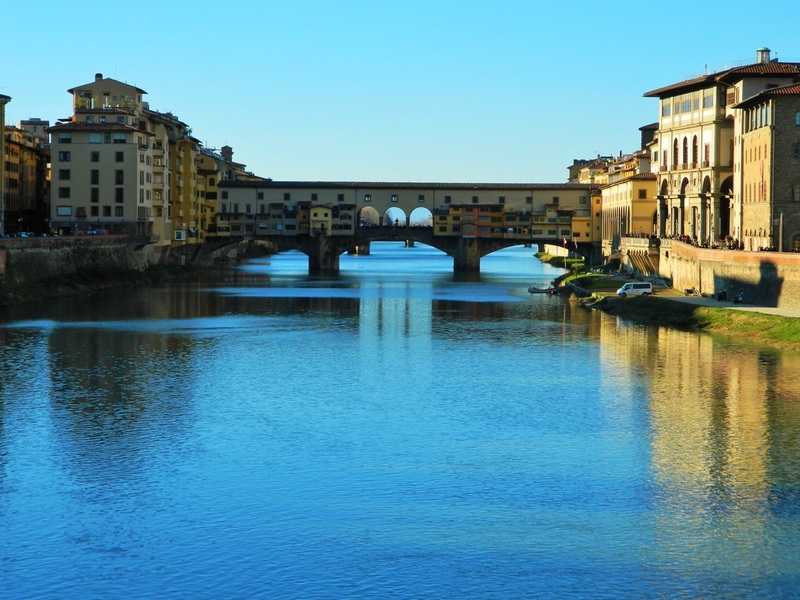 The Ponte Vecchio bridge that stands today has been there since 1345, with some reconstruction on the ends due to damage caused during World War II. 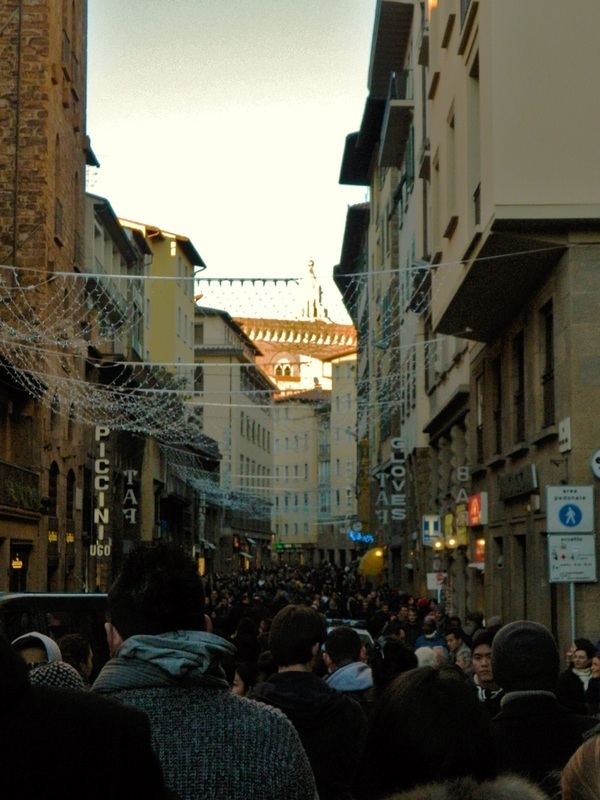 This bridge has always housed merchants and local shops and is now a major tourist destination...the bridge connects to a busy shopping area and is VERY crowded. 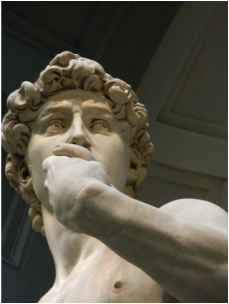 Don't worry, though...soon enough you can turn off and head to the Fountain of Neptune near by. 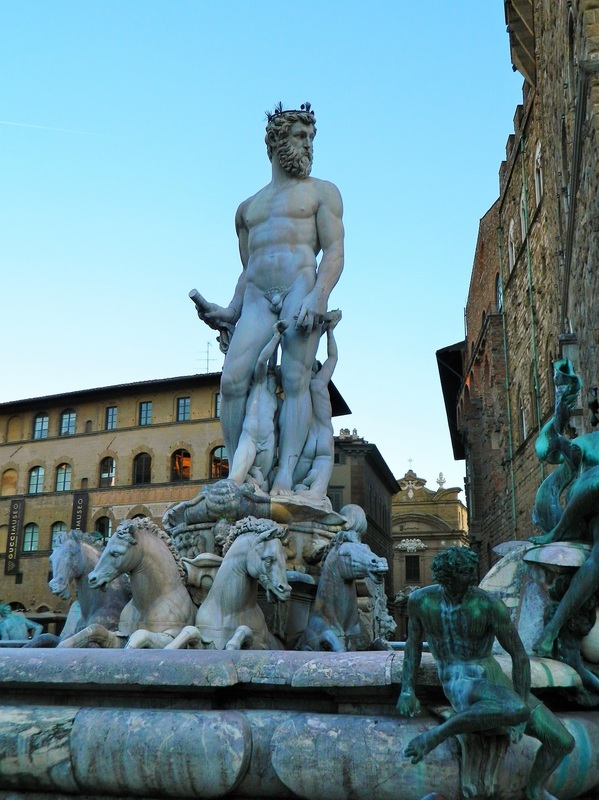 For a spectacular view of all of Florence, cross the river, go through the city wall, and make the climb to the Piazzola Michelangelo...a plaza on a hilltop high above the city. 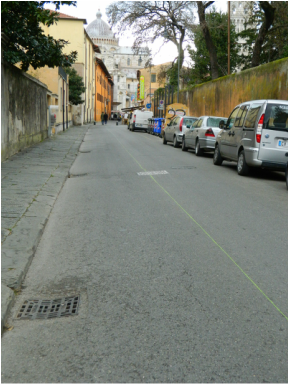 Windy roads going up, up, up! 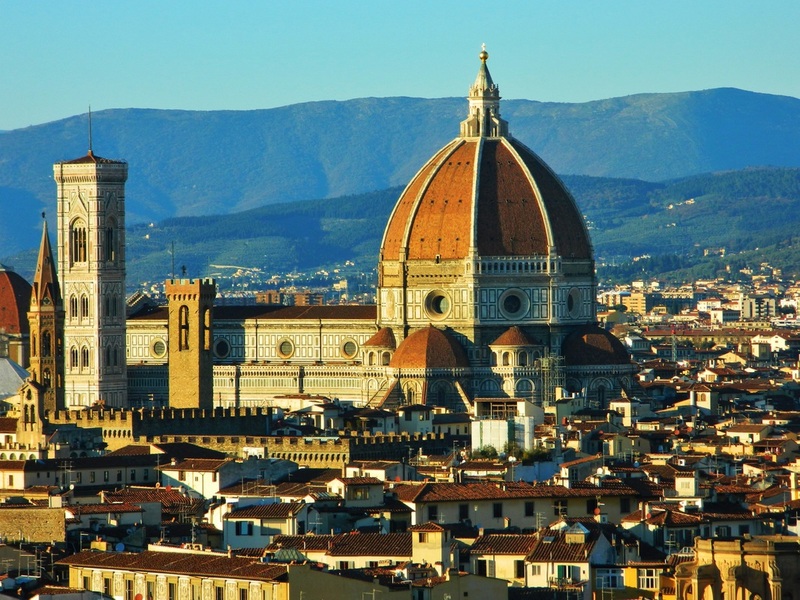 Florence is a city of wonderful food, amazing opportunity to experience arts, culture, and history, and a photographer's dream (especially on a sunny day). 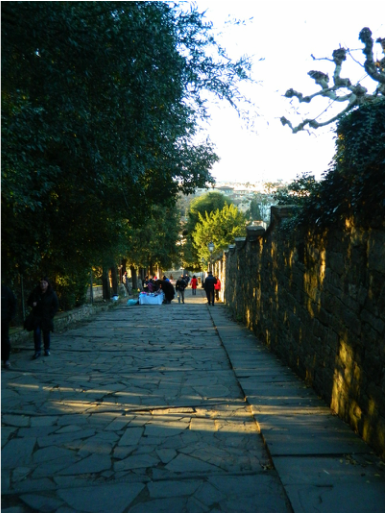 If you stay near the city center, you can walk everywhere. Don't forget to try the gelato, and some really good Italian espresso. 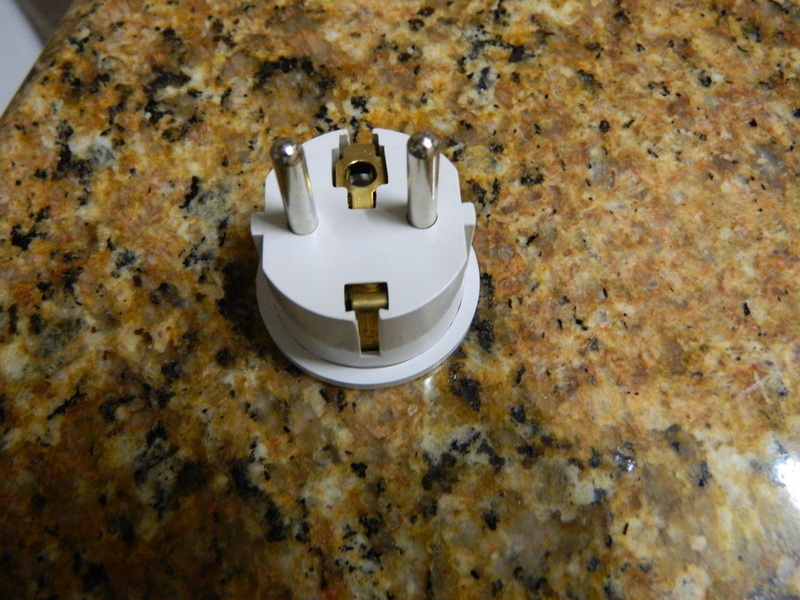 One final note--when we got to our hotel and tried to start plugging in electronic devices to charge overnight, we found that our standard European 220v adapter didn't fit into the wall outlet. Everywhere else in Italy, the standard adapter has worked fine, but in Florence, the wall sockets are different, with three holes instead of two. Plan ahead for this before you go, or check with your hotel. 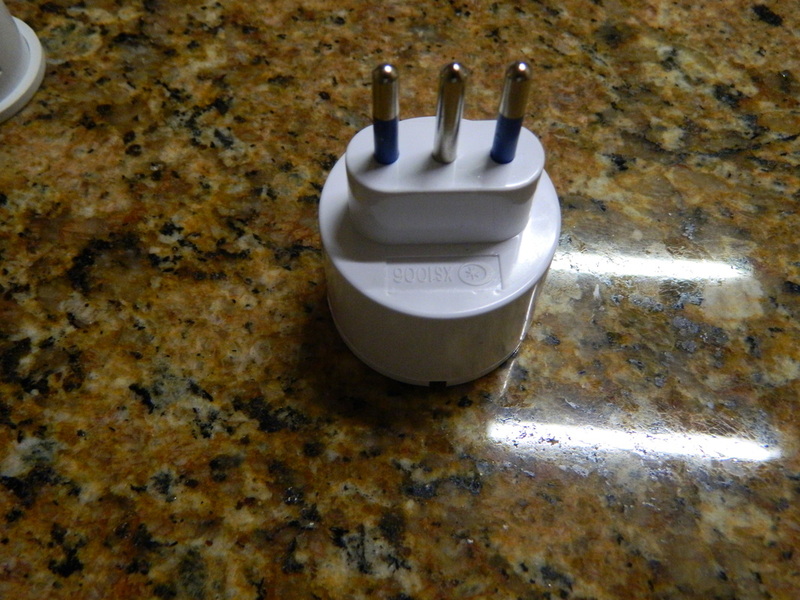 We borrowed an adapter from the hotel but it would have been a major bummer if that wasn't an option. 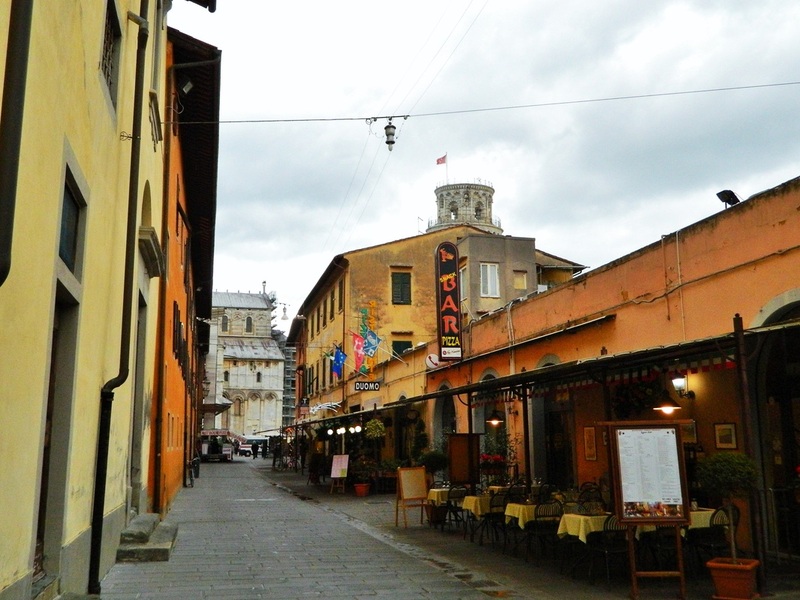 With Pisa's close proximity to Florence (just over an hour by car), it's easy to include it in your visit of Florence. 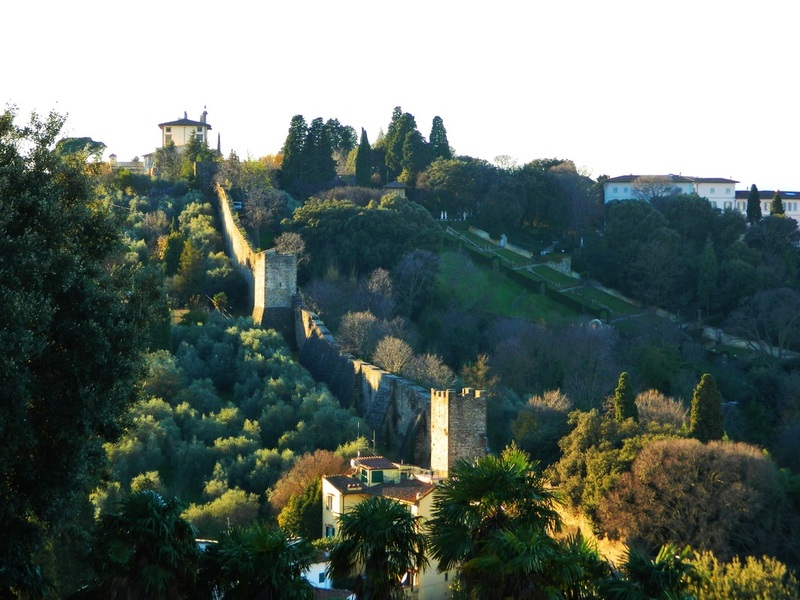 You could spend a morning there and be back to Florence for the afternoon. 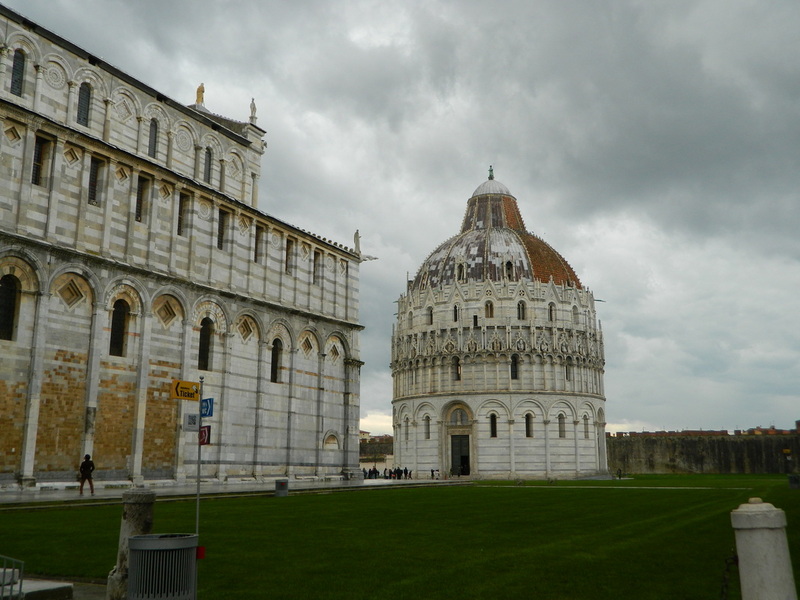 While there may be much more to see than the leaning tower area, we were only quickly passing through on our way to Monaco, and it was just starting to rain, so our tour of Pisa was pretty short. 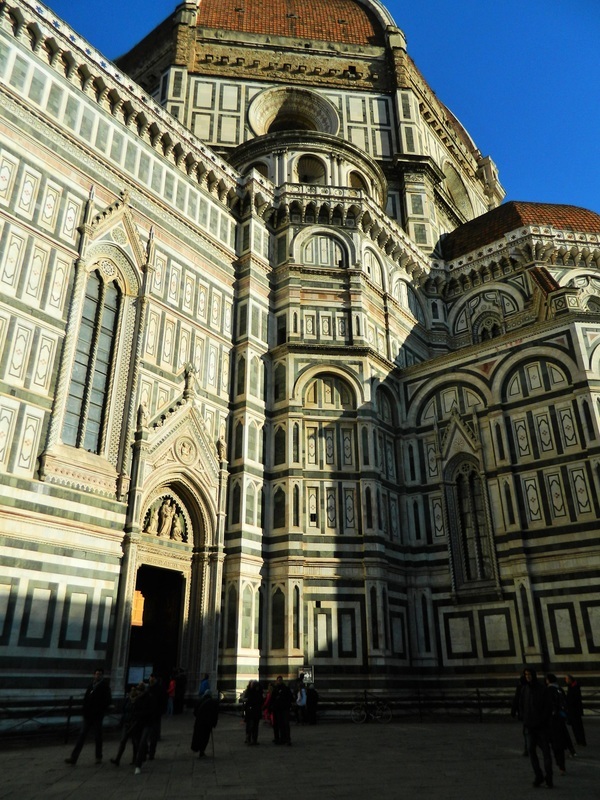 That said, I was still really impressed by the beauty of the leaning tower, and... well, its "leaniness" (I just made that word up)--basically, it lived up to the hype and didn't disappoint! Aside from the Tower and the complex around it, and of course the plethora of little souvenir shops across the street, there really isn't a lot to see, but it's still definitely worth a trip. Looked like a giant wedding cake to me, and actually a lot more beautiful than I had pictured in my mind. You can go up to the top of the tower, which we didn't do, but on a clear day, I'm sure it's a great view.